Let’s learn how to use Shapefiles in R. This will allow us to map data for complicated areas or jurisdictions like zipcodes or school districts. For the United States, many shapefiles are available from the Census Bureau. Our example will map U.S. national parks. First, download the U.S. 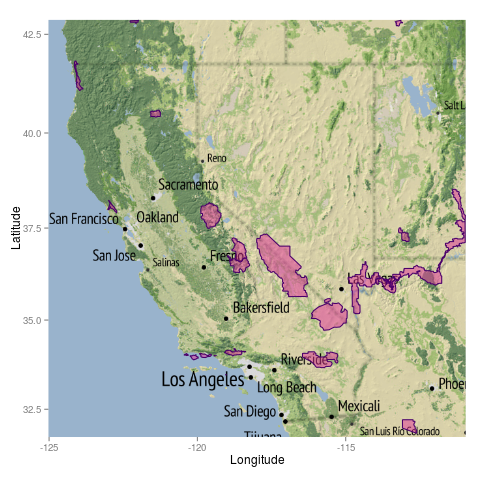 Parks and Protected Lands shape files from Natural Earth. We’ll be using the ne_10m_parks_and_protected_lands_area.shp file.